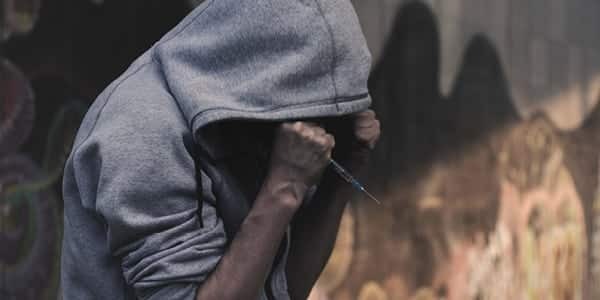 By the year 2020, Norway will become the seventh country to offer free heroin prescriptions through a heroin-assisted treatment (HAT) programme in an attempt to improve the living conditions of people dependent on the drug. Prescribing and administering heroin in a safe environment will allow people to avoid illegal heroin which may have been cut with potentially harmful substances, including the powerful opioid fentanyl. Health professionals will also be on-hand when the heroin is administered so that they can intervene should an overdose occur. Describing the HAT policy, health minister Bent Høie said: “We hope that this will provide a solution that will give … a better quality of life to some [people dependent on heroin] … who are today out of our reach and whom current programmes do not help enough”. The HAT policy follows a historic vote at the end of last year when Norway became the first Scandinavian country to legalise drugs. Its focus changed to treatment rather than punishment. The country currently has one of the highest drug-induced mortality rates among adults in Europe, at 81.23 deaths per million in 2015, compared to the European average of 21.8 deaths per million. HAT has been an important part of drug treatment for many years in Europe. Similar schemes are already offered in Denmark, Germany, Luxembourg, the Netherlands, Switzerland, and the UK. The evidence shows that effectively-implemented HAT can reduce overdose mortality rates, as well as reduce the societal costs of drug harms and the illegal heroin trade. The Norwegian scheme intends to initially provide the drug to up to 400 people, although specific plans are still being formulated. Switzerland became a pioneer of the HAT approach in the 1990s. The country’s largest city, Zurich, had seen a large increase in people using heroin: increasing from 3000 in 1975 to 30,000 in 1992. In 1994, Zurich health professionals began prescribing heroin to long-term opiate users for whom other substitutes were insufficient. Nowadays, the country’s addiction specialists see almost no new heroin users in Switzerland. In the UK, AlphaBiolabs offers drug testing services. For information, call us on 0333 600 1300; email: info@alphabiolabs.com; www.alphabiolabs.co.uk.